The rainforest-like conservatory is home to more than 40,000 plants from 50 countries. 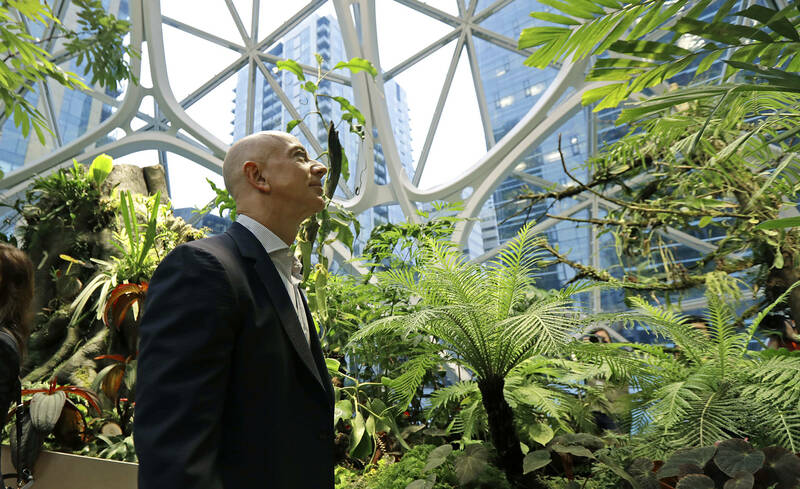 SEATTLE — In a proud little show on Monday for the media and dignitaries — which also doubled as product placement for Amazon’s voice assistant — the world’s richest man ordered out loud, symbolically: “Alexa, open The Spheres.” The domed structure is only steps away from the executive office tower where Jeff Bezos leads the online retail behemoth. It’s part of the company’s urban campus near downtown Seattle.